In Pennsylvania, automobile dealers that sell used cars are required to comply with specific advertising rules put in place by the state legislature. Those who fail to follow these rules and who sell vehicles to unsuspecting customers can be held accountable in court, so if you purchased a vehicle from a dealer and it did not meet the standards set by state law, it is critical to speak with an experienced Philadelphia used car fraud lawyer who can help you seek damages for your losses. Failing to sell a vehicle under warranty or at the listed price. Using a sales plan that is designed to prevent salespersons from selling vehicles at the advertised price. Has a damaged or defective differential. Dealers who fail to make these disclosures face serious penalties, including both temporary and permanent injunctions to prohibit the use of similar tactics when selling to customers. Courts also have discretion to require the dealer to return the money or property obtained from the victim through fraudulent means. 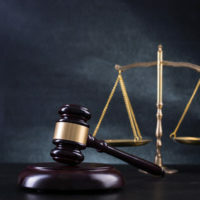 In fact, courts can also award up to three times the actual damages sustained by plaintiffs, in addition to reimbursement for attorney fees and other reasonable costs. If you recently purchased a vehicle that was not roadworthy or you were otherwise misled as to the vehicle’s true condition, please contact dedicated used car fraud attorney Louis S. Schwartz at CONSUMERLAWPA.com to discuss your legal options. Initial consultations are conducted free of charge, so please don’t hesitate to call or contact us online.